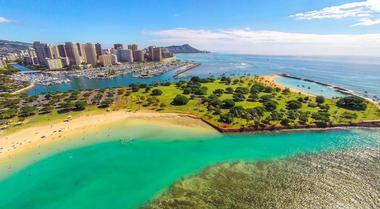 Hawaii is a world of its own – exotic, mysterious, ancient, and very much alive – and Honolulu is its beating heart. 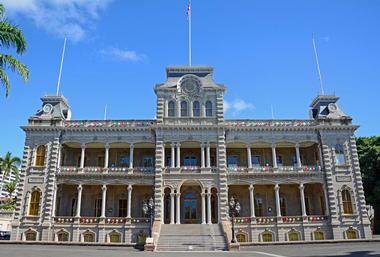 Hawaii is known for the tragic attack on Pearl Harbor, historical monuments, and the history of the Hawaiian royal family which can be explored at the Iolani Palace and the Bernice Pauahi Bishop Museum. The island state also boasts spectacular nature that ranges from the volcanic craters of Diamond Head and Coco Crater to the endless beaches, including the famous Waikiki Beach. 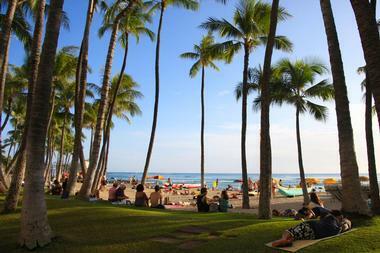 Waikiki Beach is one of the most famous beaches in the world. This two-mile long sandy beach on the island of Oahu is located on the island’s south shore next to the iconic Diamond Head. Across from the beach are many luxury hotels, restaurants, beach bars and shops. Just before Diamond Head is beautiful, spacious Kapiolani Park, which is popular for jogging, picnics, or throwing a ball with friends. Duke Kahanamoku Lagoon, on the west end of the beach, is a secluded spot where kids can swim in safety. The beach is popular for surfing, snorkeling and swimming and tends to be quite busy. Visiting Honolulu would not be complete without a visit to Pearl Harbor, where the infamous Japanese attack in December 1941 killed 2,403 people and forced the U.S. to enter WWII. 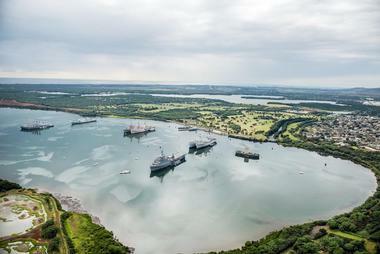 Pearl Harbor is a National Historic Landmark and also an active military base. 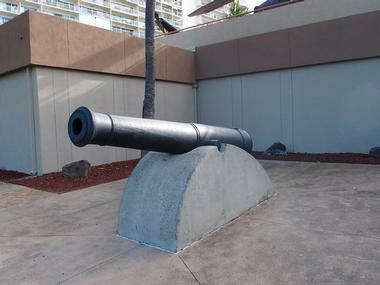 Organized tours will take you to important sites such as the battleship the USS Missouri, the site where the Japanese surrendered, the USS Arizona Memorial, the Pacific Aviation Museum Pearl Harbor, the USS Bowfin where you can get a glimpse of life on a WWII submarine, and the Pacific Submarine Museum with its indoor and outdoor exhibits. 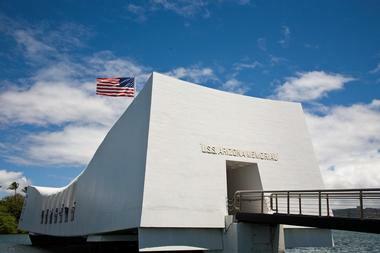 You will also see a documentary on the history of Pearl Harbor and so much more. It is an emotional journey, and there is much to see, so plan on spending a day going from site to site, especially if you are travelling with kids, who will love roaming aboard battleships and a submarine. Located in downtown Honolulu, a quick drive from Waikiki Beach, Iolani Palace is a magnificent 10-room, four-story palace built in Italian Renaissance style and the only royal palace in North America. The official residence of Hawaii’s King Kalakaua and his sister and successor Queen Lili`uokalani, the last monarchs of Hawaii, the opulent palace was completed in 1882 and was wired for electricity even before the White House. Since being lovingly and carefully restored to its former glory, the palace has been open to visitors, who can immerse themselves in Hawaii’s history and royal heritage. The first two floors consist of the living areas, while the basement houses the Hawaiian crown jewels, photos, regalia, and decorations. The palace is registered as a National Historic Landmark. Leaving the beach in Honolulu to spend two hours hiking a hot and dry trail surrounded by low growing kiawe and cactus and fighting against strong winds makes sense only when you get to the top and see the views. The Makapu‘u Point trail is part of the Kaiwi State Scenic Shoreline, and once you get through the fairly steep hike you will be rewarded with spectacular views of the O‘ahu’s coastline, Koko Head, and Koko Crater. From Makapu‘u Head where the trail ends, you can see small offshore islands off in the distance. 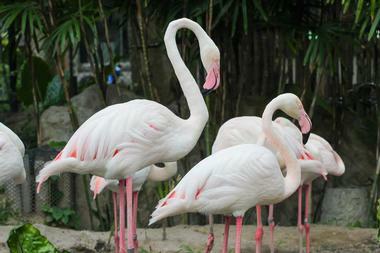 These are wildlife sanctuaries for seabirds such as frigate bird and tropicbird. 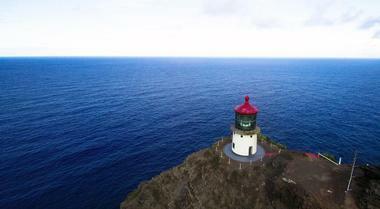 You can also easily spot the famous historic 1909 Makapu‘u Lighthouse with its red roof standing out against the deep blue of the see that surrounds it. If you are lucky, you even might see Lana’i and Moloka‘i on a clear day. If you find yourself on the Makapuu between November and May, you even might see migrating humpback whales. Battleship Missouri Memorial was the last battleship America built and the last to be decommissioned. The Japanese surrendered on the deck of the Missouri, effectively ending the Second World War. This 58,000 ton 900 foot long giant now sits in Ford island dock off the Hawaiian island of Oahu, where it silently guards Pearl Harbor and serves as a reminder both of the three wars it fought in and the three generation of American soldiers who fought on board. Visitors can climb aboard the Missouri and imagine General Douglas MacArthur pacing back and forth while commanding the Allied Powers. They can get a look at the Missouri's enormous 16-inch 50-caliber guns, visit the crew's quarters, and even sit in the captain’s chair on the bridge. 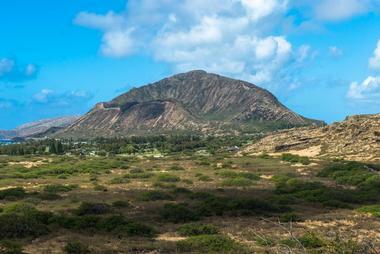 Koko Crater, a 1,208 tall volcanic tuff cone, is one of the most recognizable of Oahu's landmarks. It is a popular hiking destination, and the hiking trail leading to its peak can be seen for miles. 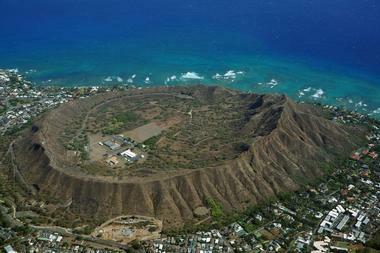 There is also a smaller tuff cone called Koko Head nearby. To get to the lookout point, hikers have to climb 1,048 very steep stairs made of railroad ties, which were built more than 60 years ago so that the military could get supplies to the bunkers at the top. At one point, the railroad tracks hanging above ground, making that part of the trail a little scary. Inside of the crater there are horse stables and the famous Koko Crater Botanical Garden with many native cacti and succulents. It is a pleasant place to take a rest before heading back. Princess Bernice Pauahi Bishop was the last of the royal Kamehameha family descendants. When she died in 1889, her husband Charles Reed Bishop built the spectacular Hawaiian and Polynesian Halls on the grounds of the Kamehameha School for Boys to display the impressive collection of royal family heirlooms of the Princess and a large number of meaningful Hawaiian artifacts. The Honolulu Museum of Art is Hawaii’s largest private visual arts institution. It was founded by Anna Rice Cooke in 1922 and officially opened its doors in 1927. It is recognized as having one of the largest collections of Pan-Pacific and Asian art in the States. The museum’s other treasures include works by Monet, Hokusai, Gauguin, van Gogh, Picasso, and Warhol. Since its opening, the museum’s collections have expanded to contain over 50,000 works of art covering 5000 years. 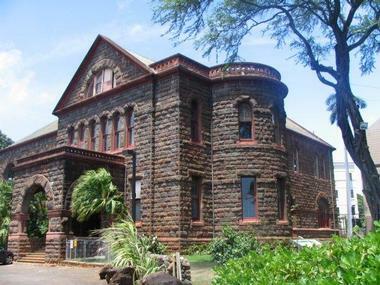 The museum also includes the Doris Duke Theatre, which hosts concerts, meetings, and lectures, the Robert Allerton Art Research Library, and the Honolulu Museum of Art School. The World War II Valor in the Pacific National Monument is a U.S. National Monument that honors, preserves, and interprets the stories of the Pacific War, from the internment of Japanese-Americans to concentration camps to the battles in the Aleutians. The monument covers 6,310 acres in nine sites and tree states. 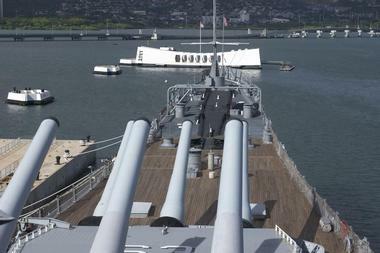 Most sites are in Hawaii: Pearl Harbor, the USS Utah Memorial, the USS Arizona Memorial and Visitor Center, Six Chief Petty Officer Bungalows, Ford Island, the USS Oklahoma Memorial, and Mooring Quays F6, F7, and F8 on Battleship Row. The Monument is managed by the National Park Service. To see the true beauty of Oahu you have to get off the beach. Just a short drive from Waikiki towards Manoa Valley will get you to a lush rainforest thick with bamboo. 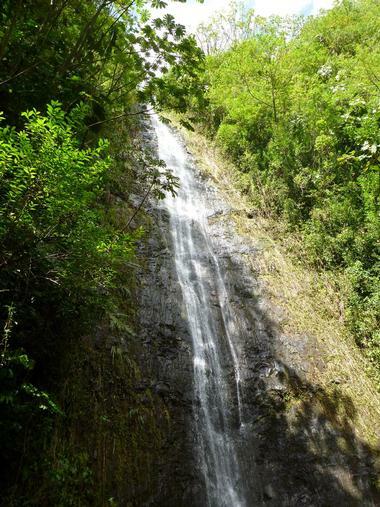 An easy 45-minute hike up the mountain will reveal Manoa Falls, the 150-foot waterfall that turns into a thunderous gush of water after heavy rains. The small pool where the water cascades from the overhanging cliff looks fresh and inviting, but it is actually dangerous for swimming because of falling rocks and bacteria contamination. Nevertheless, the air is cool and quite refreshing. The 1.6-mile long trail is fairly easy, with some large boulders you will have to climb over. It can be slippery after the rains, and it rains often in the rainforest even if it’s dry when you leave the beach. Bring bug spray, as insects thrive in the forest. 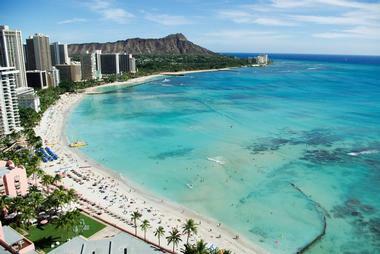 Overlooking Waikiki’s coastline, Diamond Head is the most recognizable Hawaiian landmark. This 300,000-year-old volcanic crater is protected within the 475-acre Diamond Head State Monument and is one of the most popular hikes out of Honolulu – the views from the trail end are nothing less than spectacular. The trail to the summit of Diamond Head or Le‘ahi was created in 1908 as part of the island’s defense system. The hike from trailhead is only 0.8-miles long but is steep and difficult. It has an elevation gain of 560 feet between the crater floor and the peak. A concrete trail was built to control erosion, and it changes to a natural volcanic rock or tuff after about 0.2 miles. The trail forms a number of switchbacks as it crosses the slope of the interior of the crater. The climb continues up a steep set of stairs and then through a 225-foot tunnel to arrive at the 1911 Fire Control Station. The effort will be well worth it once you see the breathtaking view of the coast from Koko Head to Wai‘anae. 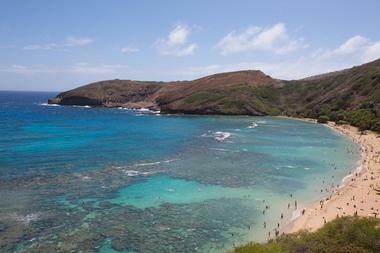 If you view Hanauma Bay from East Honolulu, its circular shape makes its volcanic origin evident. It is very likely the crater was flooded and shaped by wave erosion, becoming one of the most beautiful parts of the coast and a very popular swimming and snorkeling destination. In fact, this lovely cove was so popular that the government had to protect it by creating the Nature Preserve and Marine Education Center, where visitors watch a short presentation to understand the fragile nature of the marine system and learn the rules of enjoying it without damaging coral or disturbing fish. The water is crystal clear and cool, and it’s easy to understand why the Bay attracts more than a million visitors every year. Magic Island Beach is the small crescent shaped beach at the end of Magic Island Peninsula between downtown Honolulu and Waikiki beach; it is a part of Ala Moana Beach Park. The beach is protected from waves by a rock barrier, making it pleasant for swimming. Unfortunately, the bottom is a bit rocky, and the sand is not as smooth as on Ala Moana Beach, and when the waves are big, they easily wash over the rock barrier. Nevertheless, the beach is popular for picnics, surfing, and jogging, and there is a nice grassy area behind the beach with picnic tables and trees. The Magic Island Peninsula is made of man-made dredged coral and was built as the location of a new hotel, which was never constructed, so the peninsula was turned into a park instead. The submarine USS Bowfin, popularly called the "Pearl Harbor Avenger," was launched one year after the Pearl Harbor attack and spent its time at war as a true avenger, sinking 44 enemy ships, patrolling the seas, and looking for prey just like its namesake, a mean-looking fish with sharp teeth and an insatiable appetite. 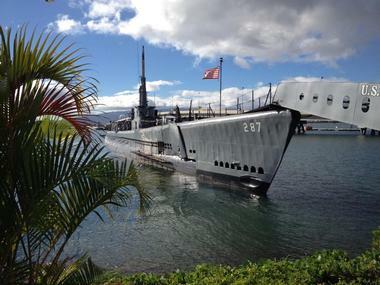 After nine patrols the submarine was placed at its current berth in Pearl Harbor. The Bowfin was declared a National Historic Landmark and is open to the public as a museum ship, allowing visitors to come aboard and get an idea of life in a World War II-era submarine. It is located near the Arizona Memorial and has more than 4,000 artifacts, including recruiting posters and battle flags, and special exhibits such as a Poseidon missile with its insides exposed. Waikiki Aquarium is one of the oldest aquariums in the country. It was founded in 1904 and starting in 1919, the University of Hawaii started to manage it. It is located just off Waikiki Beach across from Kapiolani Park next to the thriving reef. 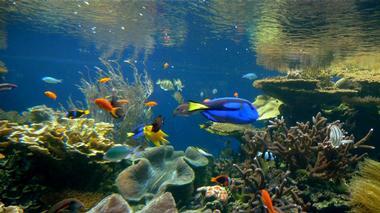 The aquarium has over 500 live marine species and about 3,000 marine specimens. Some of the most popular exhibits are the New Hawaiian Green Sea turtle, Jet Set (which is about animals like octopus that move by jet propulsion), Corals are Alive, Hawaian Marine Communities, and many others. The aquarium organizes a range of classes and activities for schools and community groups, special events, and celebrations. 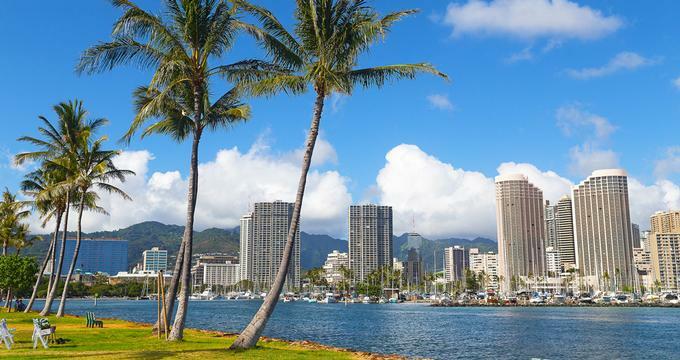 Part of Waikiki Beach and translating to “flower from the wreath of heaven,” Kuhio Beach Park is right by Waikiki’s popular surf and bodyboarding sites, the Canoes and Queens. It was named after Prince Jonah Kuhio Kalanianaole who used to live there with Princess Elizabeth Kahanu, his wife. Visitors of the park can explore some amazing landmarks, including the Duke Kahanamoku Statue (a sculpture of the Olympic swimmer, canoeist, and surfer), the Stones of Kapaemahu, which represent four legendary men: Kapuni, Kahaloa, Kinohi, and Kapaemahu, and the Prince Kuhio Statue, a sculpture by Sean Browne. 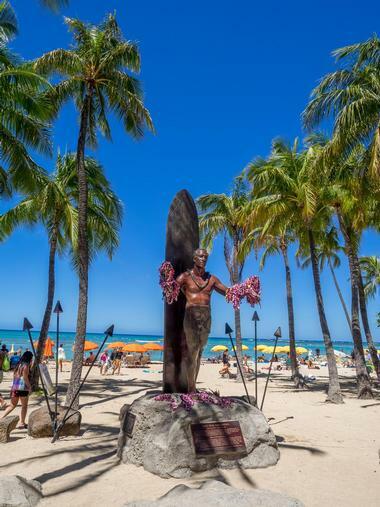 One of the most photographed places in Waikiki, the Statue of Duke Kahanamoku stands on Kuhio Beach with open arms. Duke Kahanamoku was one of the most respected Hawaiian surfers of his time; he mastered canoeing and was a champion Olympic swimmer. He is considered a true Hawaiian hero for his athleticism as well as for putting Hawaii on the map as an amazing surfing location – and to honor him, locals and visitors adorn his statue with flower leis. Commonly referred to as “the Father of Modern Surfing,” memorabilia and authentic photos of Duke and his friends, the Waikiki Beach Boys, can be seen at Duke’s Canoe Club and Restaurant on Waikiki Beach. Visitors can get an unusual glimpse into Hawaii’s past by visiting the US Army Museum of Hawaii. Filled with guns, tanks, bunkers, and helicopters, the museum tells Hawaii’s military history not only through its artifacts but through its building itself; the museum is housed in a bastion that was built to keep out invading forces and protect Hawaii. History buffs and war aficionados can explore the interactive displays filled with photographs and objects that take people back in time. Proudly shared by the people of Hawaii’s many ethnic groups, the museum tells the story of the men, machines, and military that defended the island and its people. For an absolutely breathtaking view of Hawaii – one that’s sure to make everyone back home envious of your tropical vacation – go to Tantalus Lookout at Puu Ualakaa State Park. Tourists and locals come to climb the 1,048 foot hill to not only revel in the beautiful scenery that awaits them, but also to appreciate the calm it offers in comparison to the constant buzz of the city. Standing at Tantalus Lookout, visitors will see an amazing view of downtown Honolulu – including Waikiki Beach, the Honolulu International Airport, Pearl Harbor, Manoa Valley, and the Diamond Head Crater. Though visitors are not allowed to camp or mountain bike, they can go hiking on the Ualakaa Trail or enjoy a picnic on the mountaintop. Founded in 1999, the Pacific Aviation Museum Pearl Harbor recognizes and honors aviators who defended freedom in the Pacific Region. The museum is internationally recognized, and locals and visitors of all ages flock to the museum to better understand and appreciate aviation history. The museum is located on historic Ford Island and includes the Ford Island Control Tower and two hangars. Visitors can explore the aviation exhibits, a majority of which are dedicated to the Pearl Harbor attack and World War II – much of the damage currently seen on the museum’s hangars are damages that were incurred during the Pearl Harbor attack in 1941. Located on the slopes of Waikiki and Diamond Head, the 42-acre Honolulu Zoo is most definitely the wildest place in Waikiki as it is home to nearly 1,000 different animals including elephants, orangutans, komodo dragons, birds, reptiles, and an extensive variety of African animals. Highway Inn is a great place for visitors to taste true traditional Hawaiian cuisine. This family-friendly Hawaiian restaurant was established in 1947 and now has a new location open in 2013 in Kaka'ako, a residential and commercial project led by Kamehameha Schools, between Waikiki and downtown Honolulu. 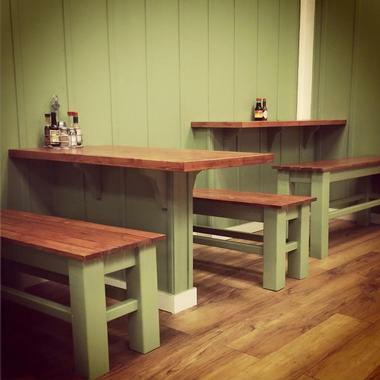 The dining room is spacious, bright, and unpretentious, offering delicious, fresh Hawaiian dishes. Every morning, each laulau is carefully hand-wrapped in the traditional Hawaiian style. The kalua pork is shredded by hand, thread by thread. The beef stew is made fresh every day, one pot at a time. The menu hasn’t changed since the opening in 1947, and for good reason. Generations of Hawaiians have grown up eating those traditional dishes and they keep coming back for more. Popular combo plates are served with poi or rice, steamed sweet potato, and haupia with a choice of lomi salmon, potato-mac salad, or local greens. There is also a classic a la carte menu of Hawaiian dishes. The oldest and largest public park in Hawaii, Kapiolani Regional Park is a great place for visitors to relax and spend the day when in Honolulu. Named after Queen Kapi?olani, the 300-acre park is also home to the Honolulu Zoo and the Waikiki Shell. Other than that, it also serves as the base of the oldest sporting club and the only cricket club in the Hawaiian Islands, the Honolulu Cricket Club. 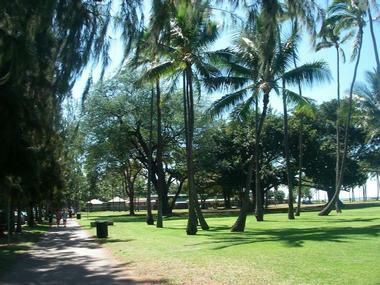 The park extends toward Kapiolani Beach Park so visitors can spend the day visiting the zoo and having a picnic lunch at the park or the Honolulu Cricket Club, and then unwind by the beach in the evening. What better place to buy souvenirs during a Hawaiian vacation than at the Ala Moana Center, a premier dining and retail destination filled with national retailers and locally-owned boutiques stores? The diverse collection of 290 shopping stores, 70 dining options, and innumerable entertainment facilities is filled with anything and everything Hawaiian locals and tourists could need. Considered the largest outdoor shopping mall in the United States, Ala Moana Center embraces the beauty of Hawaiian culture in its open air structure. Over 42 million visitors come to Ala Moana annually not only for the shopping and dining, but for the year-round events as well. Located at the Kapi'olani Community College, the KCC Farmer’s Market is a much-awaited Honolulu tradition. Open on Tuesday evenings and Saturday mornings, the large market brings together a jumble of souvenirs, crafts, produce, baked goods, a variety of foods, and other knick-knacks. The market is one of the largest of its kind and gives people the opportunity to go straight to the source of Hawaii’s agribusiness scene, as most of the booths belong to farmers. 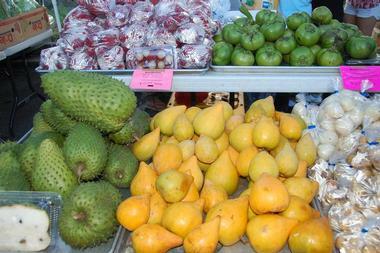 Other than fruits and vegetables, there are also flowers, seafood, pasta, and local goods such as Hawaiian honey. It’s a great opportunity for visitors to meet locals and interact with them over fresh food. The Lyon Arboretum lies five miles from Waikiki and has over 5,000 varieties of tropical and sub-tropical plants, in the 193.5 acres at the top of the Manoa Valley watershed where it lies . The tropical rainforest setting is a perfect example of Oahu’s diverse cultural and scientific resources, and visitors can explore it at the Lyon Arboretum as well as the surrounding seven miles of hiking trails. The arboretum is also a resource of the University of Hawaii and hosts over 50,000 visitors annually who are solely dedicated to research projects, classes, or community and volunteer activities.